The panelist of the event, from left to right: Arūnas Vinčiūnas Head of Cabinet of Health Commissioner Vytenis Andriukaitis, Joao Pinto the ESN President, Alexandre Ricard CEO of Pernod Ricard and Paul Skehan, Senior Director at PepsiCo EU office. How can young people be encouraged to make healthier choices when it comes to drinking? According to the alcohol industry, the answer is information and awareness campaigns, more than taxes or regulations. 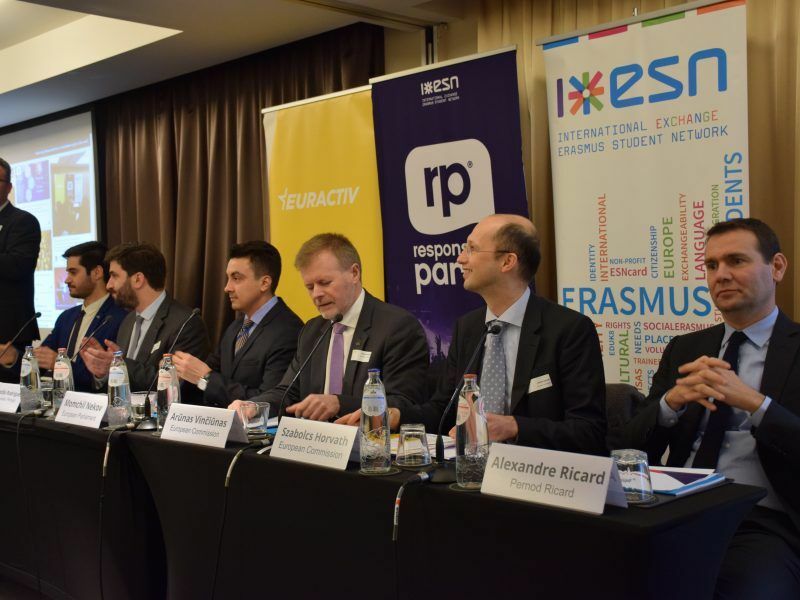 That message was driven home at a EURACTIV event last week (30 January) where Pernod Ricard celebrated 10 years of partnership with the “Responsible Party” campaign, led by the Erasmus Student Network (ESN) and its national affiliates across Europe. 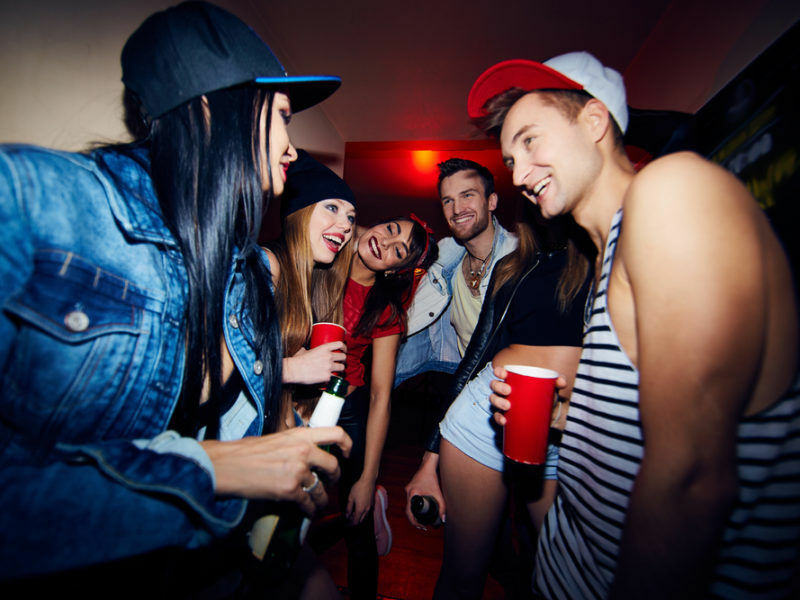 For more than a decade, “ambassadors” from the Responsible Party campaign have roamed student parties across Europe, distributing information about alcohol abuse, offering youngsters water or food, and helping them get a safe ride home when needed. ‘Responsible Party’ is a Pernod Ricard commitment as a member of the European Commission’s Alcohol and Health Forum, which brings together a wide range of stakeholders in an effort to reduce alcohol-related harm. 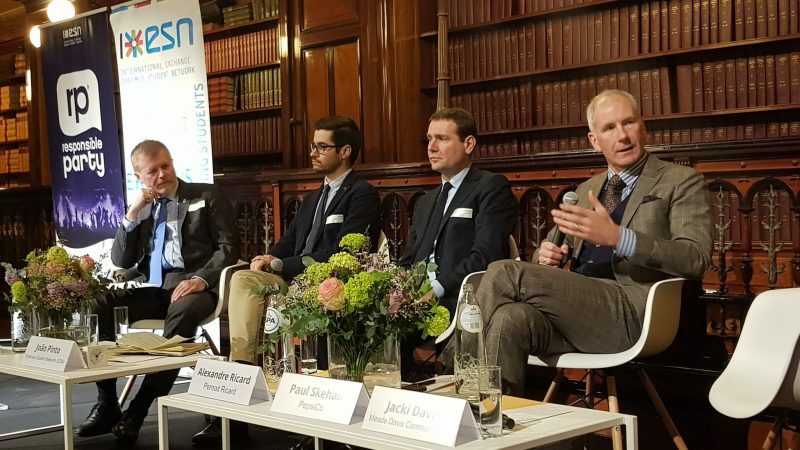 It takes willingness from all sides in order to make the EU’s Alcohol and Health Forum (EAHF) effective, a European Commission official has said, urging businesses and health NGOs to return to the discussion table. The event in Brussels debated ways of nudging youngsters to adopt healthier drinking choices. And all agreed on the role that the private sector can play in providing the information consumers need to make their own decisions. “Information is power and nothing is more powerful than somebody acting responsibly in full knowledge,” said Alexandre Ricard, CEO of Pernod Ricard, highlighting how partnerships like the one that his company has with ESN can have a positive impact in providing information to young people. Paul Skehan, senior director at PepsiCo EU office, struck a similar note, saying that if lawmakers pass laws and taxes that make choices on behalf of the people, they take away responsibility from citizens. As a result, citizens do not think responsibly, he argued. According to ESN President João Pinto, all possible strategies lead to education and health literacy. But he warned that it could also be counterproductive to “lecture” students on these issues, suggesting that lawmakers and industry support the peer-to-peer approach of the ‘Responsible Party’ campaign where students engage directly with other students. Pepsico’s Skehan, who’s familiar with the topic as the former director general of spirits makers lobby SpiritsEurope, agreed. “As industry, we have the responsibility to give information, but to educate is more for the member states. We can feed the education process providing the right information but it’s not really our task,” Skehan said. “Imposing something from the top does not work,” confirmed Arūnas Vinčiūnas, head of cabinet of EU Health Commissioner Vytenis Andriukaitis. 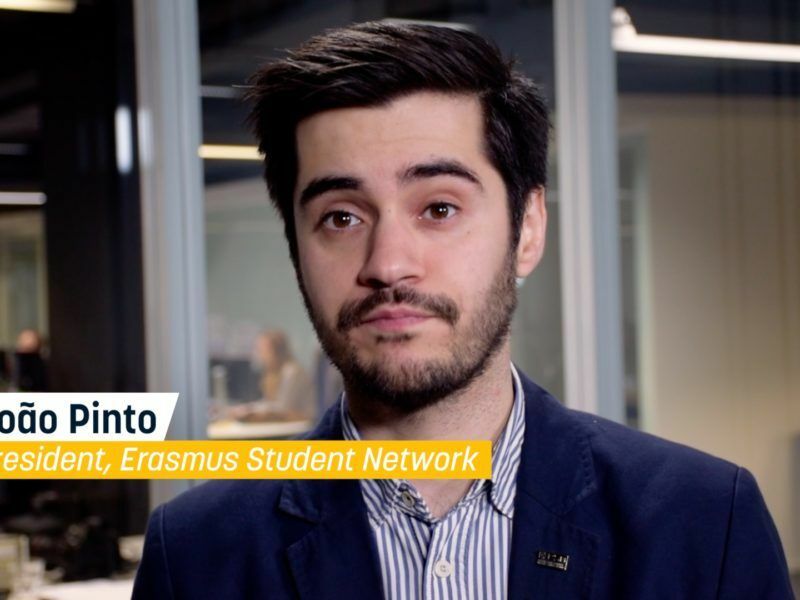 Even if EU countries decided to ban sugary drinks from the counter, education would still be needed to increase the efficiency of such policies, he argued, hailing the ESN’s ‘Responsible party’ campaign because it tackles the problem of binge drinking. “We need more of this,” he said. The European Commission is more favourable to raising taxes on alcohol over setting a minimum price level following intense debate in Britain over Prime Minister David Cameron's proposed crackdown on binge drinking, a Commission official told EURACTIV. Binge drinking is considered a behavioural risk factor, according to the European Commission’s Health at a glance 2018 report, produced in cooperation with the Organisation for Economic Cooperation and Development (OECD). 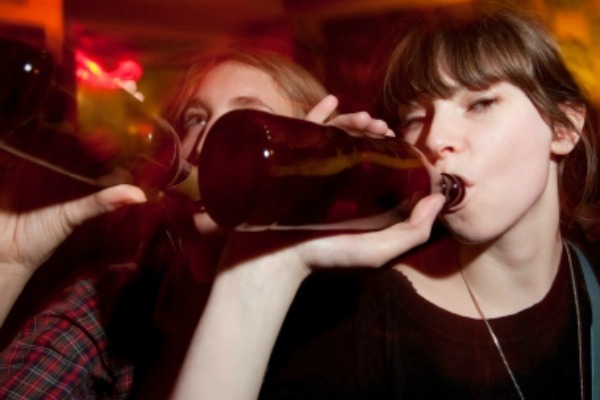 Heavy alcohol consumption among both adolescents and adults remains an important public health issue, the Commission study said, highlighting how nearly 40% of adolescents report at least one binge-drinking event in the preceding month. “We did not only change the way we worked, but we also heard more voices,” he said, adding that this Commission will go down in history for the format of the citizens’ dialogue, the active talks with citizens that Jean-Claude Juncker promoted since the start of his presidency. The prevention programme ‘Responsible party’, launched in 2009 by the ESN, has reached more than 400,000 students in 32 countries. “One of my dreams is to replicate Responsible Party across the world, but we need to find new partners to make it effectively,” Ricard said. “To bring change, we need to break the silos and talk to more stakeholders. This is where the European institutions can give great help” ESN’s Pinto said, stressing that institutions, companies and organisations should act “with” the young people not only “for” young people. However, industry is not always welcome at the table, Skehan said. Critics argue that industry should not be part of this kind of multi-stakeholders partnerships because they provide the products, he remarked. An assessment of the programme was conducted by the French Foundation for Research on Alcohology between 2015 and 2017. The outcomes of the survey showed that 88.8% of the interviewed consider the program useful and 61.4% reported a modification of their alcohol-related behaviours.